50% OFF! Mizoo G-5 Super Bass Crystal Clear Sound In Ear Headset worth Rs. 1,700 for just Rs.850! Be a trend setter by using this pair of very stylish and powerful earphones from the house of Mizoo. These earphones are provided with silicon cushion ear buds for your ease. They are designed to deliver smooth audio quality with perfect shrill. The quality of material used to create this pair of earphones ensures its durability. compatible with almost all the modern day gadgets, these earphones will be the perfect pick The clear and superior sound is carried through the stereo headphones and offers you an awesome sound enjoyment. 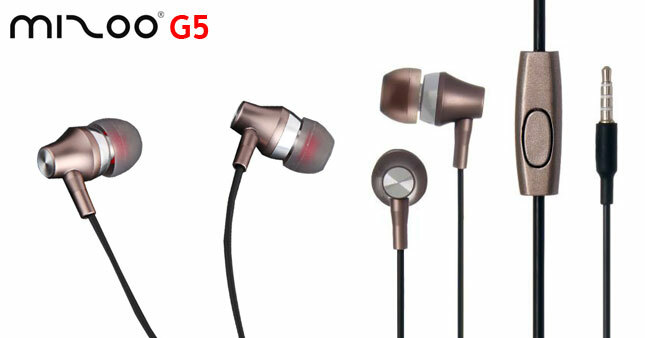 Voucher is valid only for one Mizoo G-5 Super Bass Crystal Clear Sound In Ear Head Set.